The gap between digital and physical is an ongoing problem for consumers today. However, a lot of efforts are being made to bridge this gap, and now H&M is attempting one. The clothing giant recently launched a new function in their shopping app, The In-store Mode. Using that, customers kan receive storage status for specific products and also get information on what sizes are available in what stores. 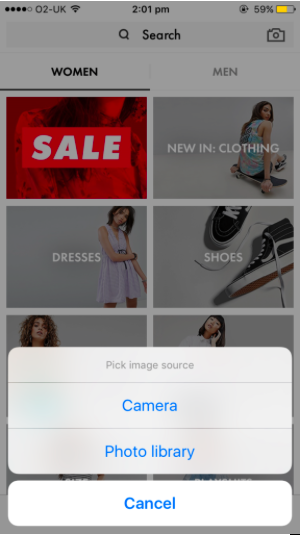 Another important feature is the visual search tool, where customers can upload a photo of any given item, to see if H&M have this product or something simliar. Screenshot from H&M IN-store Mode promo video. How about if you could search on specific features you’re looking fo in a piece of clothing, instead of just browsing endless amounts of items until you find what you’re looking for? Fast fashion brand Forever 21 just launched a visual search tool for online shopping, that helps with that. In their feature ”Discover your style”, shoppers can click on features such as sleeve, neckline and cut and under each category find images of the different features instead of text. In other words, you don’t have to know the correct term for feature you’re looking for, you just have to know what it looks like. The company hopes that this will help shoppers with their more subtle likes and dislikes, and also remove language barriers for shoppers. Above all, I think it will save shoppers valuable time, not having to browse through the enormous range of products within each category, that fast fashion brands are associated with. By 2020 a large part of customer interaction in retail will be managed by Artificial Intelligence; Gartner predicts. And accordingly, AI was the focal point for many of the speakers at Shoptalk Europe that was held in Copenhagen this week. 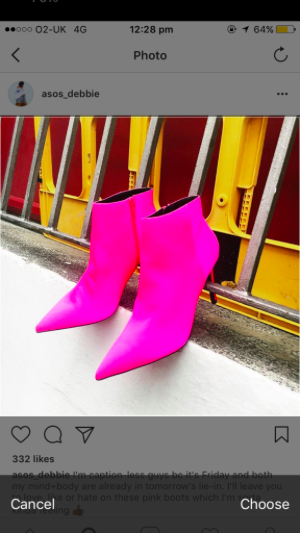 According to Fashion and Mash, several of the large retailers, like eBay, Westfield and Topshop among others, cited that AI will be the tool for making the shopping experience more personalized in the future, for instance through machine learning, visual search and natural language processing. Oh yes, NOW we’re getting somewhere! 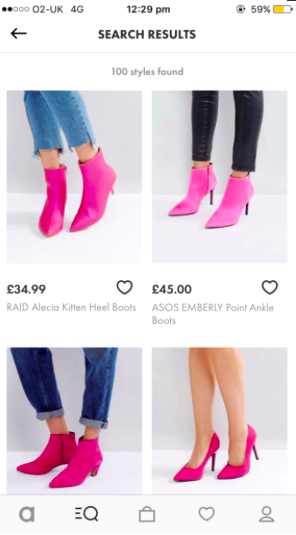 Asos just made every shopper happy by launching the Shazam of shopping, a tool that enables the customer to visually search for items they’re looking for. Let’s say you just saw something gorgeous on a friend, on Instagram or pictured in a magazine and you want to find something similar: Just go to the Asos app, look for the camera icon in the search bar, take a quick snapshot and then ask the search tool to find similar products. Of course you can also upload previous taken photographs from your camera roll and do the same thing. I have been waiting for this for years! Tiny bump in the road though: When I downloaded the app to try it, there was no camera symbol in the search bar. I’m just going to have to investigate this further and get back to you. But still – genius move.